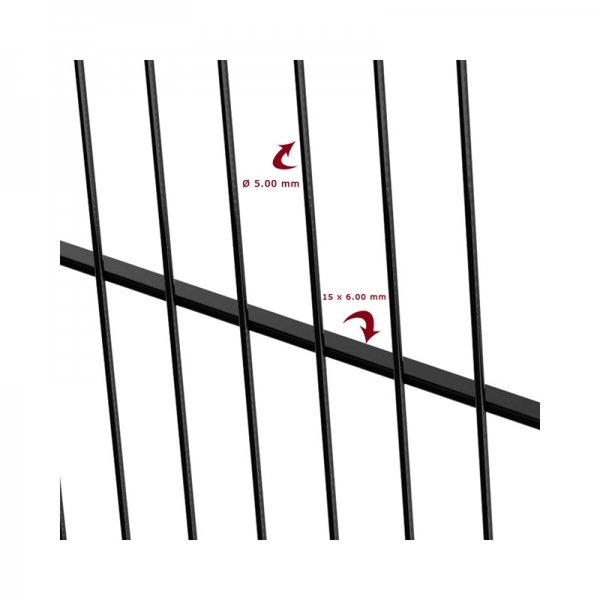 The Nylofor® F fencing system consists of heavy welded mesh fence panels with horizontal flat wires providing maximum rigidity and an original design. The flat panels are 2 500 mm width and in a range of heights: 630 to 2 430 mm. 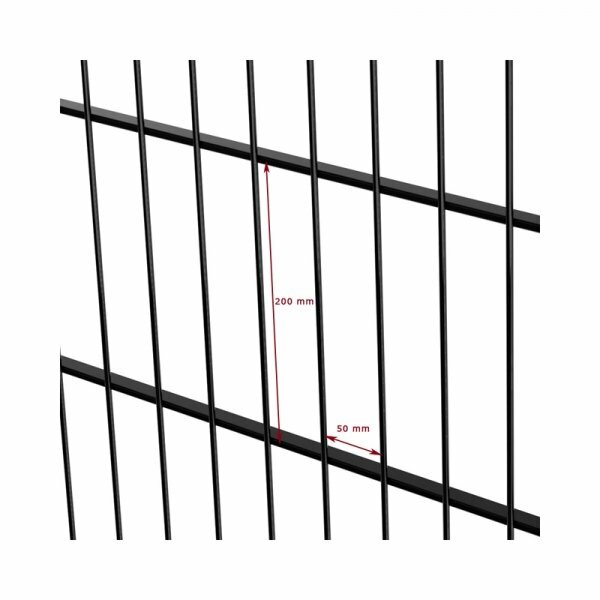 The mesh dimensions are 200 x 50 mm. The galvanised wires are extra heavy: the horizontal wires are 15 x 66 mm, the vertical wires have a diameter of 5 mm. 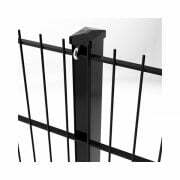 The square post for your fencing panel. 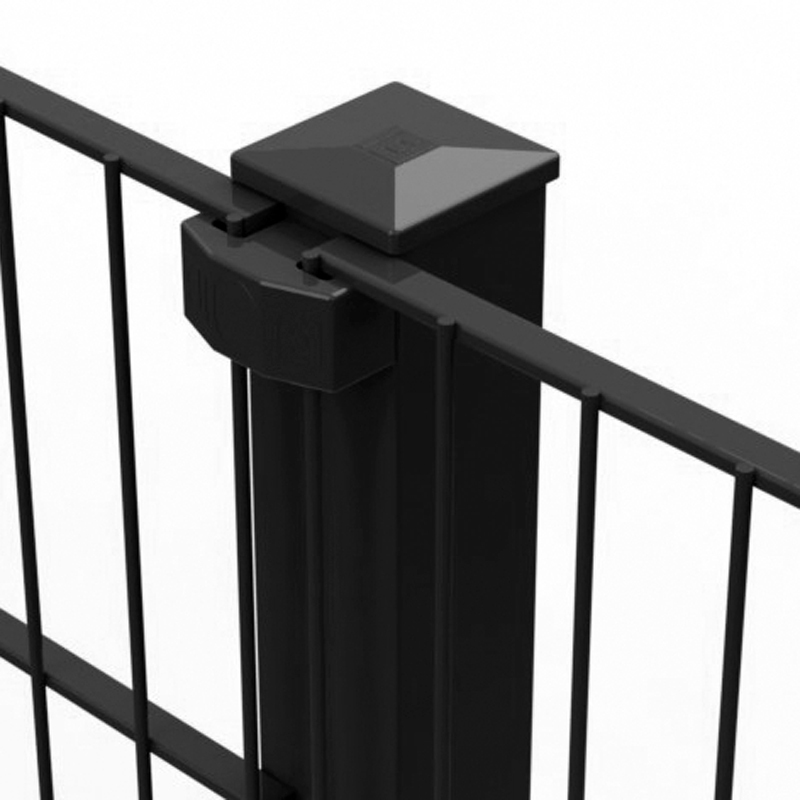 The panels are fixed on the front side of the posts by means of fixators and security bolts. 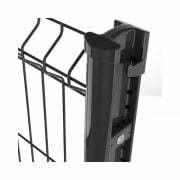 The welded square tubular posts (60 x 60 mm) have inserts for fixing the panels and are covered with a plastic cap. 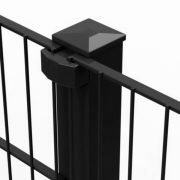 The 3d panels are fixed laterally onto the posts and secured with anti-vandal metal security fixators. 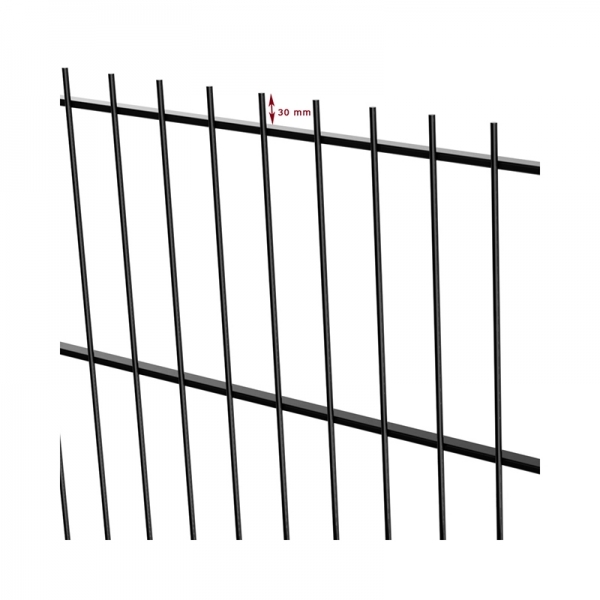 The H-shape welded tubular posts (70 x 44 mm) are galvanised. PES coated and supplied with a polyamide cap and accessories. 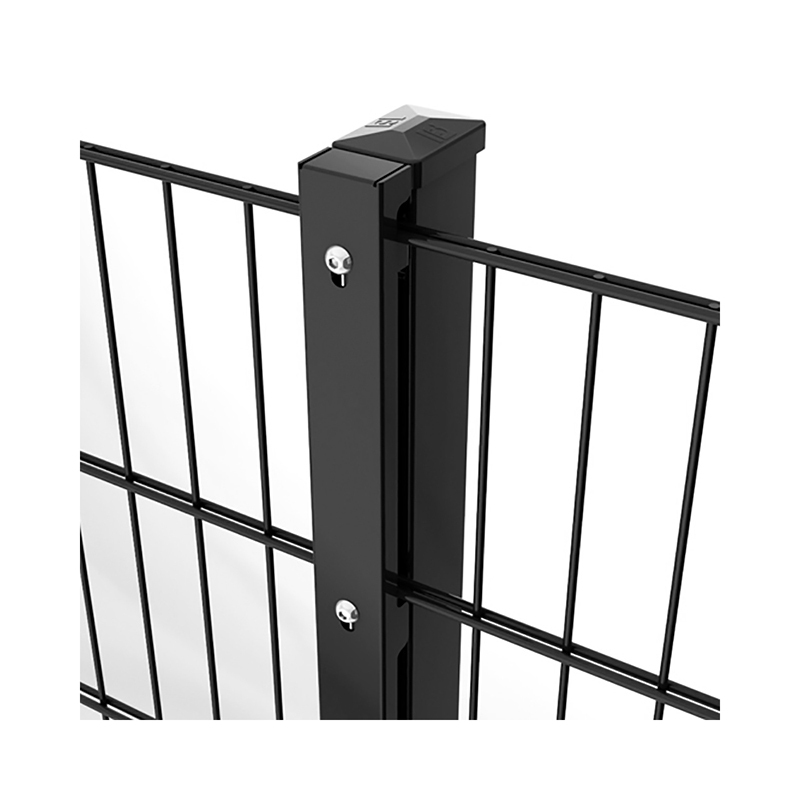 For medium to high security applications: Bekafix Super posts are recommended. 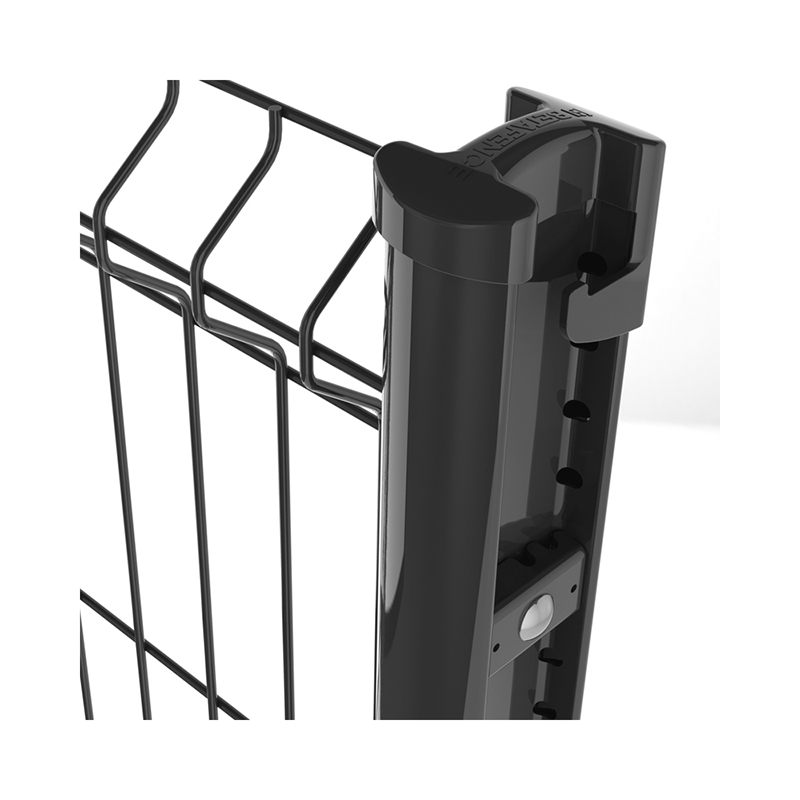 Lateral fixing of the panels with special metal security clip with bolts. 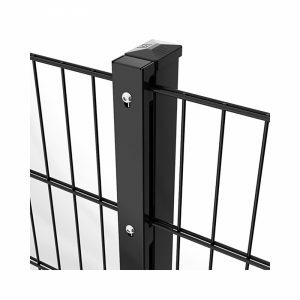 Welded tubular posts (100 x 54 mm) in H-shape with punched holes for positioning/fixing of the panels. Posts are provided with a plastic cap. 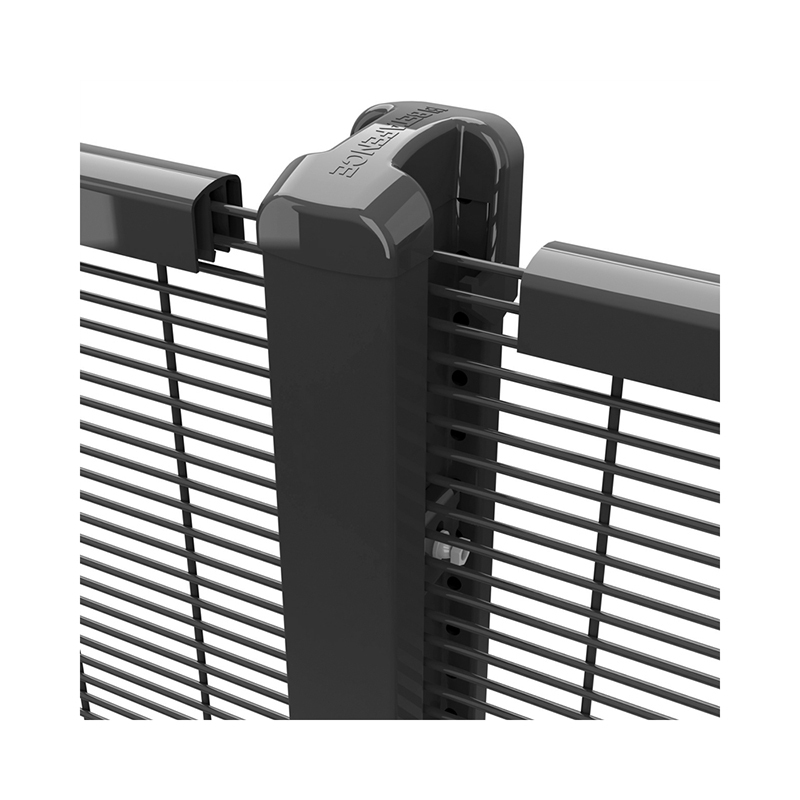 E-Lox posts (60 x 40 mm) are typical for endless installation. They are covered on top with a hard plastic cap. The flat panels are fixed on to the front side of the posts, they are first hung in the pre-mounted metal clamps. 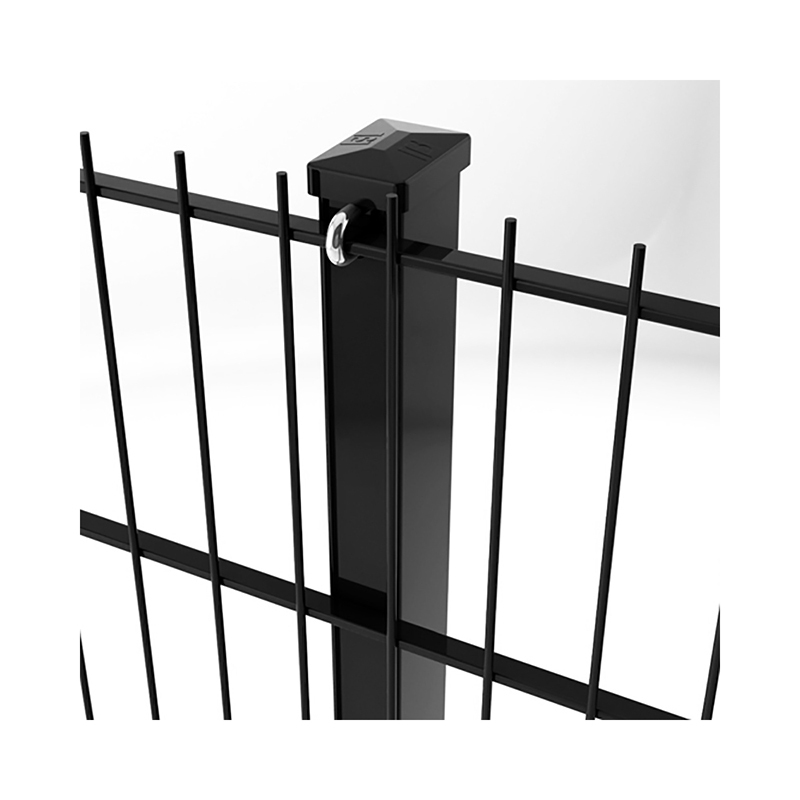 The Nylofor F, flat fencing system, is completed by the secure and high technology gates type Robusta-Nylofor: single or double swing or sliding gates. Panels made out of galvanised wires. An adhesion coating is given for a perfect adhesion with the polyester coating (min. 100 micron). Green RAL 6005 – Anthracite RAL 7016.